It's all good though, since the free content in Episode 1 is enough to keep you busy for a good while. 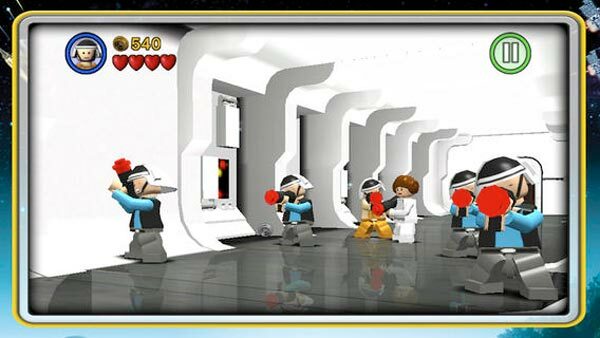 And if you're ever feeling especially frustrated, you can always relieve yourself by smacking Jar-Jar with a lightsaber ad infinitum. 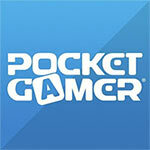 This game made a mostly flawless transition to iOS devices presentation wise. 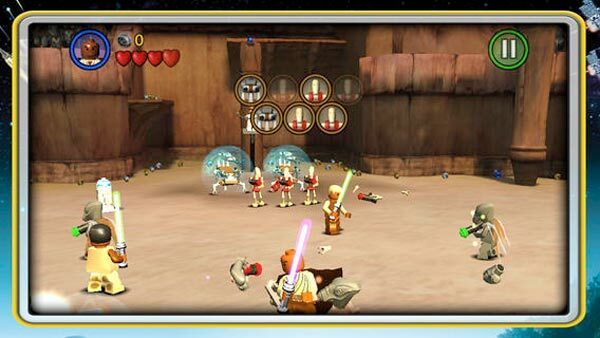 The graphics and music are almost exactly like the console version, and includes plenty of fun touches that players will love - particularly beating Lego Jar Jar senseless. In addition, the virtual joystick option is quite responsive, making it easy to move around and take out enemies. 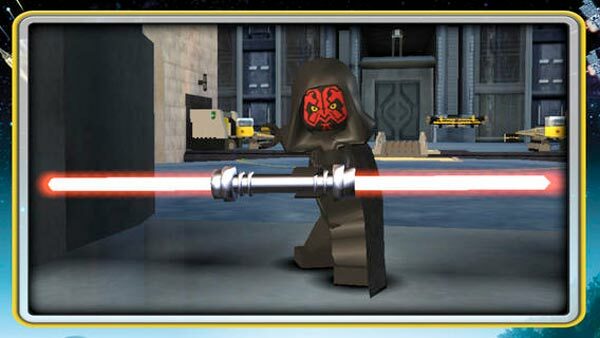 Finally, Episode I comes free-of-charge, providing a couple hours' worth of gameplay. Maybe it's the more risky design, maybe it's having the full console experience for once, or maybe it's that everything is better with Star Wars. 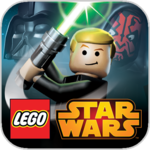 Whatever the case, I'm going to go ahead and say this is the best LEGO experience on iOS to date, and if you have a problem with that, you can take it up with the wookiee. 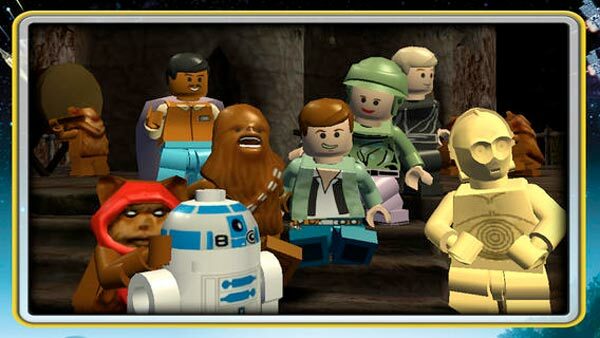 Purchasing the entirety of Lego Star Wars: The Complete Saga will clock in at a beefy $9.99, but considering that the free base includes roughly a sixth of the entire game, it is more than worth downloading if for no other reason than random curiosity. Any way you cut it, you'll be paying for a prime slice of light-hearted family entertainment. Whether you're a kid or a big kid, looking to gorge on Star Wars lore or have a quick palate cleanser in between meatier fare, this is the compendium you're looking for. 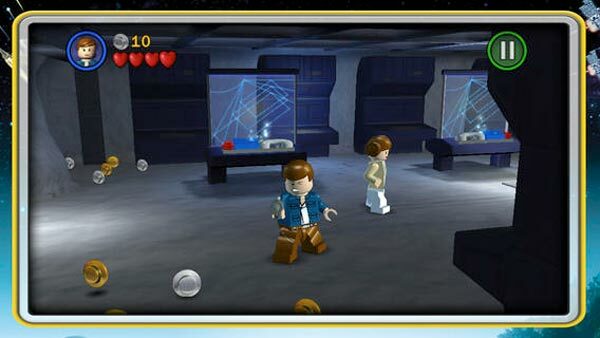 La compañía TT Games ha trasladado de manera acertada las andanzas de los protagonistas de Star Wars a los dispositivos iOS, siguiendo el camino marcado por el mismo título que apareció en consolas y PC hace ya varios años. Pero a pesar del tiempo transcurrido sigue aportando mucha diversión, aunque su sistema de control no sea perfecto del todo y su linealidad sea más palpable que la experimentada antaño. Un gran título.